Nadeshiko thought she could go winter camping as soon as she got over her 24 hour cold. Her older sister Sakura put an end to that notion. Nadeshiko joined Rin on their previously scheduled camping trip via text. 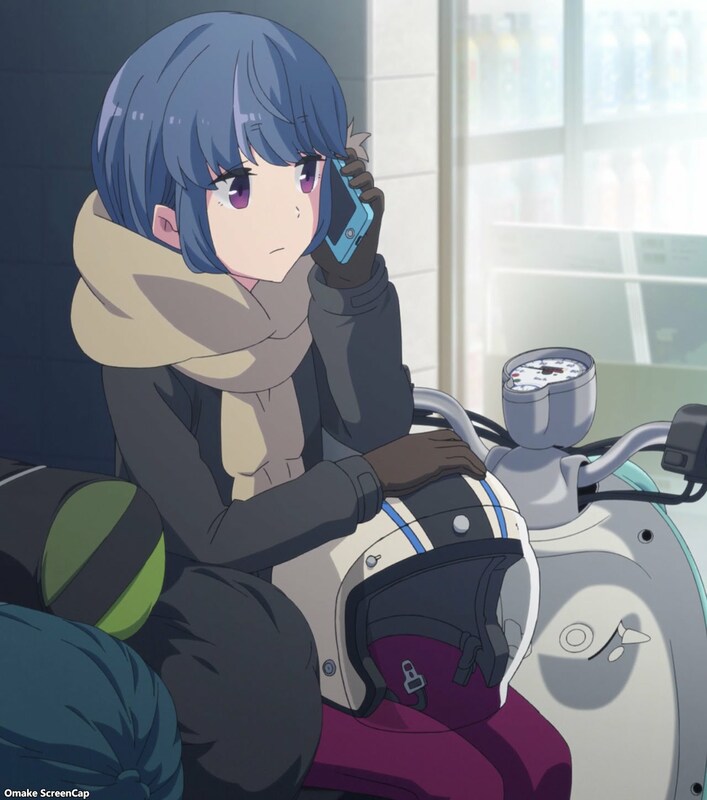 Rin had her own solo adventure through finding closed roads and taking sightseeing suggestions from Nadeshiko and Chiaki, who came to visit Nadeshiko. 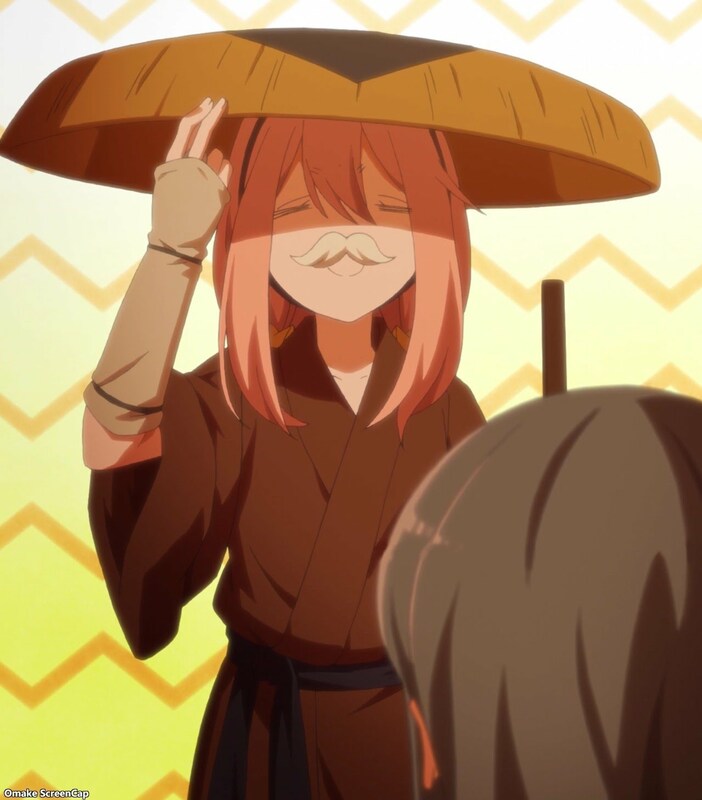 Nadeshiko forced Chiaki to claim her local girl power by making her cook Houtou noodles. She eventually cooked for the entire family! We now know where the mustache reference comes from in the opening credits. Rin visited the local shrine to Ayatarou and Rin had a dream combining Nadeshiko with the legendary dog's mission to fight a troublesome monkey. Rin fell asleep after her lunch and faces trying to set up camp in darkness!